Canadian astronaut Col Chris Hadfield speaking on the Today programme, (BBC Radio 4 29th October 2013), about how it felt to return to Earth and experience the heaviness of his own body . 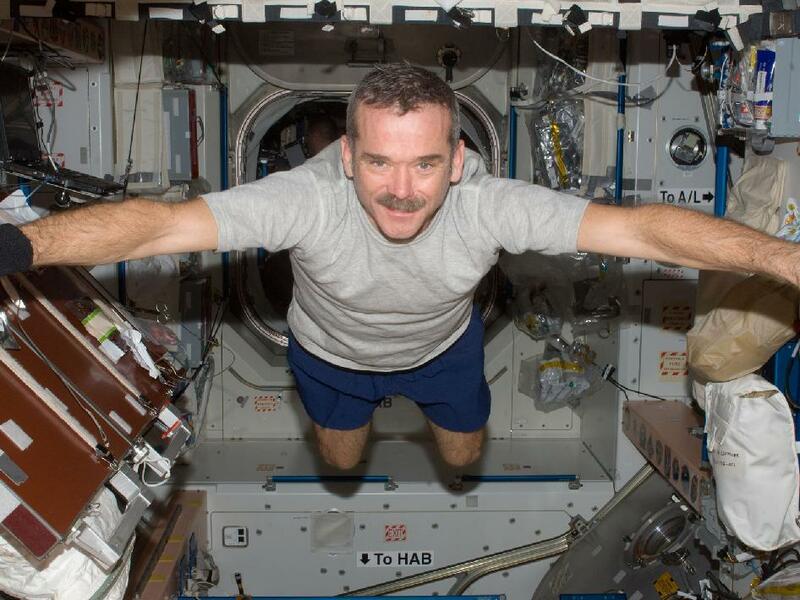 Most of us will never go into space and will never experience the weightlessness Chris Hadfield is talking about here. Floating and swimming in the water is probably the closest we can get. That is why they train astronauts underwater in special zero gravity tanks.